Meet you new favorite dance leotard for all active occasions! Made from a unique cotton/spandex blend, our MG190 is a classic silhouette with a full front lining that has been the ideal choice for dancers the world over. Classic and soft, durable and lightweight, this princess cami tank sleeve leotard moves with your body for a graceful and artistic compliment to your dance routine. 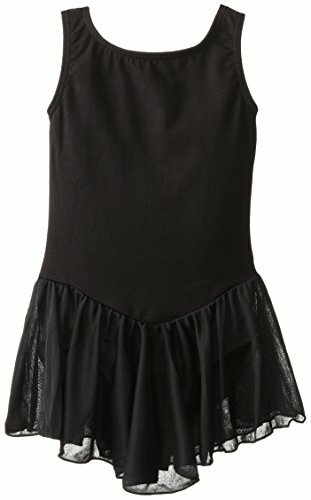 DANCE THE NIGHT AWAY- Blast the music in your studio while wearing this ballet cut top leotard dress that is crafted with memory stretch front lining and unique design on the back. BALLERINA PRINCESS- Wear this leotard while practicing your routine or dancing the performance of a lifetime as a ballerina, gymnast or for a costume. MATERIAL- Highly durable, soft and lightweight, this short sleeve leotard is made out of stretchy cotton/spandex fabric blend. WASH INSTRUCTIONS- Hand wash cold. Hang to dry. Do not bleach. CLEMENTINE- New exciting styles from Clementine Apparel featuring camisole leotards, dresses, tutus and other dance wear essentials. If you have any questions about this product by Clementine Apparel, contact us by completing and submitting the form below. If you are looking for a specif part number, please include it with your message.